The usual de-icing sprays for aircraft and other applications use ethylene glycol, a chemical that is environmentally unfriendly. Airlines don’t like to use active heating, both for cost and safety reasons. As an alternative, the system captures the heat of the Sun and uses it in a passive approach. It is not necessary to produce enough heat to melt the bulk of the ice that forms; all that’s needed is for the boundary layer, right where the ice meets the surface, to melt enough to create a thin layer of water, which will make the surface slippery enough so any ice will slide off. Finally, the bottom layer is simple foam insulation to keep any of the heat from being wasted downward and keep it where it’s needed at the surface. In addition to passive de-icing, the photothermal trap stays at an elevated temperature, thus preventing ice buildup. 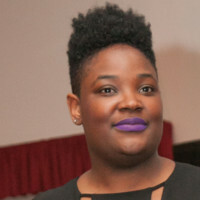 Karl-Lydie Jean-Baptiste is a Media Relations Assistant, Freelance Writer and Content Manager at the Massachusetts Institute of Technology (MIT). For more information, contact Karl-Lydie Jean-Baptiste at kjeanbap@mit.edu, 617-253-1682 or Linkedin. Architects, planners and scientists often raise the issue of “future-proofing” research buildings, and planning for the “lab of the future,” assuming we can look out 20 to 50 years and understand what will drive new ideas and scientific advancement. Just look at the digital marketplace and recent applications of Artificial Intelligence (AI). Look at the ways our children gather information—we are living in a time of rapid change. Often, the labs are arranged around a light-filled atrium, with connecting bridges and stairs, designated collaboration spaces (although often devoid of collaborators) and a spectacular and grand public ground floor—all intended to enhance trans-disciplinary interaction and foster new connections. But in the near future, I think we’ll move away from the idea of labs as a collection of enclosed spaces containing specific, although somewhat changeable, functions. Instead, I think labs will be the places where people connect with one another—to gather, retrieve, analyze and discuss data and also engage in new technologies. Labs will be hubs for an exchange of knowledge, connecting experts from around the world in both physical and virtual space, and they will be available and accessible to anyone, anywhere, anytime. I believe that much of the physical experimentation traditionally at the heart of laboratories will look very different than it does now, perhaps even moving out of the lab into science “garages,” remotely located from those analyzing results. With the advent of AI and automation, and the sheer quantity of data already accessible, scientists will focus on assuring the quality of the data, and figuring out how best to use it to generate new ideas and products. Data analysis, the ability to explore and develop new ideas with others, and especially the applications that result from these exchanges, is what will drive science. Labs will become tools for this interchange and developing new applications. They will become idea factories and look nothing like the ones we are designing today. In my upcoming columns, I will explore new ways to approach the design of labs—and how we, as lab designers, can enhance people’s experiences as they pursue science, use technology, and most importantly, engage one another. 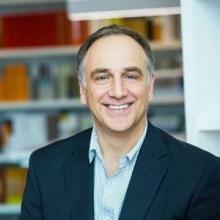 Brian Kowalchuk, AIA, LEED AP, is Global Director of Design, HDR. Throughout his career, Brian has transformed complex programs into highly functioning and striking facilities that advance the missions of leading science and technology organizations. He embraces the inherent challenges of high-performing technically advanced buildings to develop architecture that creates connections among people, place and technology. In recognition of these efforts, he has received numerous AIA Awards, as well as seven prestigious Lab of the Year Awards from Laboratory Design and R&D Magazine. A frequent guest speaker at industry conferences, including the Lab Design Conference, his work has been featured in a wide range of professional journals including Architecture Magazine, Interior Design Magazine, Contract, BioExecutive and Fast Company. Every day, we ask our people to perform various tasks as part of our safety processes that require “seeing.” These tasks may be conducting a hazard hunt, completing a risk assessment, or performing an observation. Every day, we train our people to be proficient in the things that they do. It may be classroom training, on-line training, or on-the-job training. So, when was the last time any of us received training on how to see? If you are like most, never. Sighted people are accustomed to seeing because they have been doing so their entire lives. We have confidence that when we look at something, we see what is there. However, what if that isn’t as true as we believe it to be? Is it possible that while we may look at something, we might not actually be seeing everything that we could be seeing? And what if there was a way to improve our ability to see the things that are right in front of us? Visual literacy is all about what you see, what it means, and what you do about it. Visual literacy has been taught in art education for years and provides a methodology for close looking. By recognizing that we are often influenced by our expectations of what we will see, our history in seeing things in the past, and a natural bias to pay attention to some things and not others we often look, but don’t see. It’s why we often fail to see a potential problem even though we have walked by it a hundred times until it’s too late. Or that we are so familiar with our surroundings that we can no longer see the forest for the trees. The result is that incidents themselves begin to inform us of the things we should be seeing and fixing. Think about the number of hazard hunts that have been conducted in work areas only to miss the hazard that results in the next incident. Think about the design for safety review that was just completed on a new piece of equipment, but still an incident occurs. Think about the pre-job risk assessment that was completed ahead of the task, but still missed an important hazard that wasn’t identified. It is one thing to know about the hazards to look for, but another to see them. Created by the Toledo Museum of Art (TMA), COVE: Center of Visual Expertise (COVE) is focused on leveraging the lessons taught in art education to improve our safety processes by improving our ability to see what is in front of us. Methodologies exist in visual literacy and processes developed by TMA and COVE to teach individuals how to move past “looking” to “seeing,” and leading to a more complete interpretation of the environment we are dealing with. We can then control, if not eliminate, the hazards that are in front us, and not wait to let an incident inform us that they exist. Doug Pontsler is the chairman and managing director at CO VE: Center of Visual Expertise. www.covectr.com. 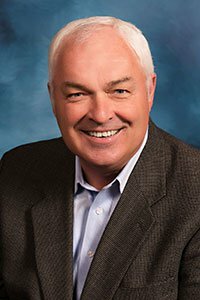 He is vice president of operations sustainability and environmental, health and safety for Owens Corning before joining COVE. In this leadership role, his role was expanded in 2011 to include responsibility for foundational compliance and sustainability operations performance. Pontsler serves as a member of the National Safety Council Board of Directors and is chairman of the National Safety Council Campbell Institute.